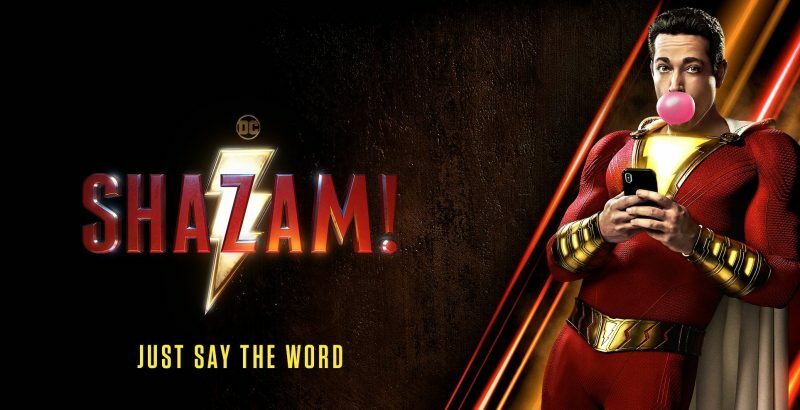 Unless you have been living under a rock then you will have seen some publicity for the upcoming DC Comics/Warner Bros movie Shazam. Zachary Levi is playing the titular character and has taken to social media promotion only comparable to how Ryan Reynolds did with Deadpool. However, you would be excused by asking the question “Who is Shazam?”. Comic book movies have dominated the global box office for the last decade and made super hero fans out of almost everyone. Even my mum has been to see the latest Avengers movies but like her many have never heard of Shazam. Billy Batson is a young boy and when he says the word Shazam is transformed into an alter ego super hero. The word Shazam is an acronym for ancient gods Solomon, Hercules, Atlas, Zeus, Achilles, Mercury. Originally the super hero was called Captain Marvel until recently retitled Shazam (more on this to follow). A super hero whose powers are most commonly compared to Superman. Created all the way back in 1939 Shazam was originally called Captain Marvel and published by Fawcett Comics. During the 1940’s at times Captain Marvel was the biggest selling comic out performing the likes of Superman and Batman. In 1972 DC comics purchased the rights to Captain Marvel. 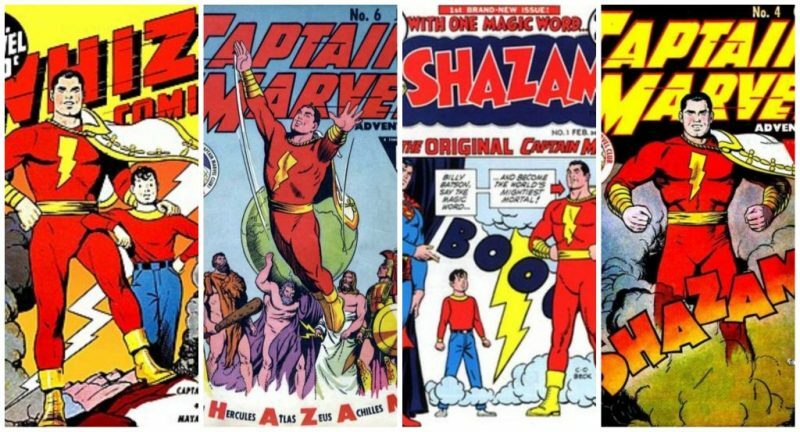 During this time Marvel Comics had created and trademarked their own character called Captain Marvel (another movie being released in 2019) this resulted in DC having to change the title of the comic book to Shazam. However the character continued to be called Captain Marvel and introduced other members to the Marvel family. During the 2000’s there were some unsuccessful movie attempts. With this some relatively unsuccessful comic book re-brands for Captain Marvel/Shazam. In 2011 there was a major comics cross over event called Flash Point. In summary, Barry Allen AKA The Flash traveled back in time to prevent his mother’s death. Upon his return to current day the world was changed. After conclusion to this event DC comics cancelled its entire ongoing comic catalog. In September 2011 the 52 comic book series that survived the reboot were re-launched under the banner ‘New 52′. It was here that Chief Creative Officer Geoff Johns made the decision to finally drop the name Captain Marvel. Although not being granted his own series, Shazam became a part of the Justice League. He was reintroduced with the story arc ‘Curse of Shazam’ written by Johns himself. Changing the characters name from Captain Marvel to Shazam makes sense on a number of levels. Due to copyright law DC had the right to use the name Captain Marvel, but not on covers, publicity or merchandising. This caused no end of confusion over the years with fans. Being called one thing on the cover and something different on the pages just did not work. Then on the commercial side of things it’s not good business to have a character you can’t sell merchandise for. 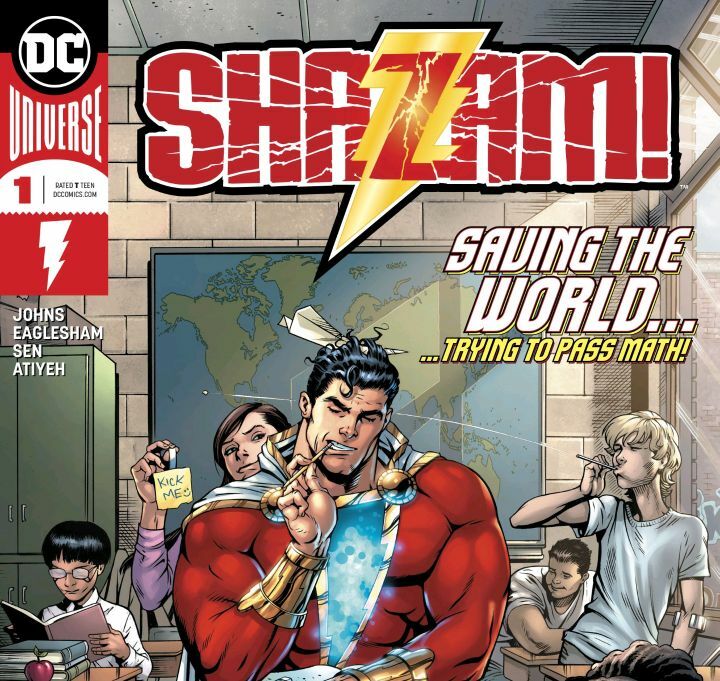 Surprisingly for a character who was once the biggest selling comic book in the world, it took until 2018 for his first solo series known only as Shazam. Written by none other than Geoff Johns, the man responsible for the characters name change back in 2011. Having received some negative feedback from fans regarding the name change the ongoing series has gained largely positive reviews. DCCOMICSNEWS.COM praising Johns for “perfectly capturing the fun, light-hearted tone of the original Captain Marvel comics”. Some could say that without Johns decision back in 2011 we wouldn’t be getting the 2019 movie Shazam. This will be the first live action version in the modern age to grace the screens although Captain Marvel was a regular character in the animated series Young Justice. An interesting fact Captain Marvel was the first ever super hero movie recorded back in 1941 called ‘The Adventures of Captain Marvel’ but good luck hunting this down. There was also a TV series in the 1970’s which has recently been added to the DC Uninverse app for subscribers to watch. One of the first questions I am asked about the upcoming movie is always “Do you need to have seen all the other DC movies?” My simple answer is No. We know from the trailers Batman and Superman are referenced but I believe that’s as far as it goes. There are rumours to a Superman cameo but it’s unlikely to be Henry Cavill or have any connection to the Justice League Movie. What we have determined from information provided by Warner Bros is the Shazam Movie will closely follow the New 52 origin. 12 year old Billy Batson (Angel Asher) is granted the power of Shazam by an aging wizard (Djimon Hounso). 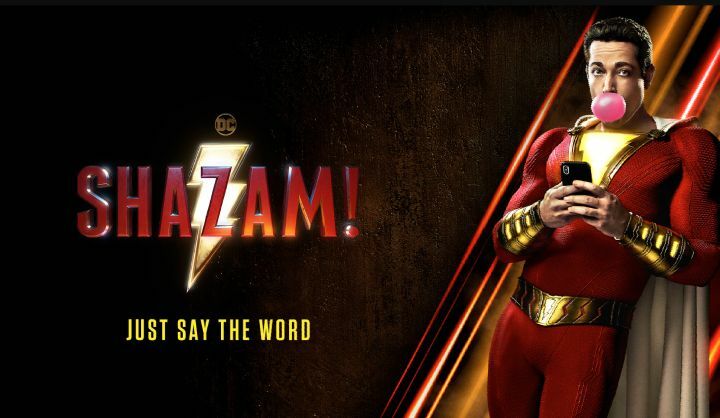 As per the movie tag line ‘Say the word’ Billy is transformed into Shazam (Zachary Levi) by saying his name. 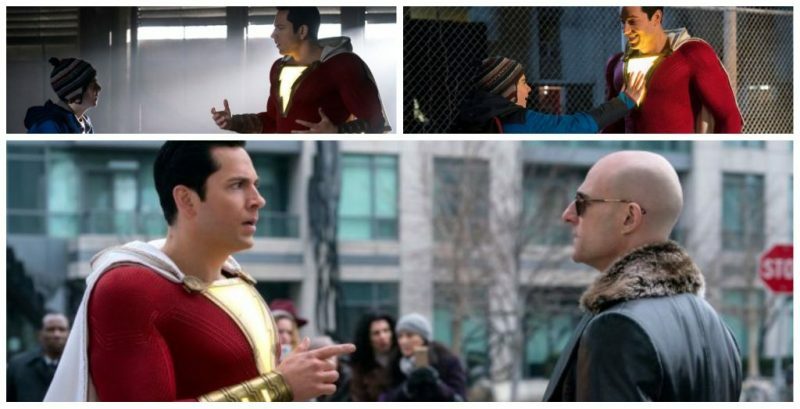 The main villain appears to be a regular comic book foe to Shazam, Dr Sivana played by Mark Strong. Written by Henry Gayden (Earth to Echo) and directed by David F. Sandberg. Sandberg is joining the DC family from a largely horror background with movies like Annabelle Creation and Lights Out. A journey very similar to James Wan, who achieved tremendous success with Aquaman. Set for worldwide release on the 5th April 2019 everyone at DC World is eagerly awaiting what looks like another great DC Comics movie instalment. Check out the trailer below.